The stage is getting set. The atmosphere booming with a lot of noise. The actors are strategising, planning and scheming. The monies are gradually coming out. It is all for one reason: the general election of February 16. The Elections are less than a month away. It is an election that will usher in the next crop of political leaders at all levels, comprising State Houses of Assembly, National Assembly (Senate and House of Representatives), Governorship and the Presidential. While the Governorship seems not to be much of a concern to the generality of the Nigerian Populace, one that draws so much interest and emotion and impact on them is that of the Presidential election. This may not be unconnected to the calibre of personalities flying the various political parties’ tickets. The list parade incumbent President Muhammadu Buhari, former Vice President, Atiku Abubakar, Sowore, Fela Durotoye, Oby Ezekwezile amongst others. 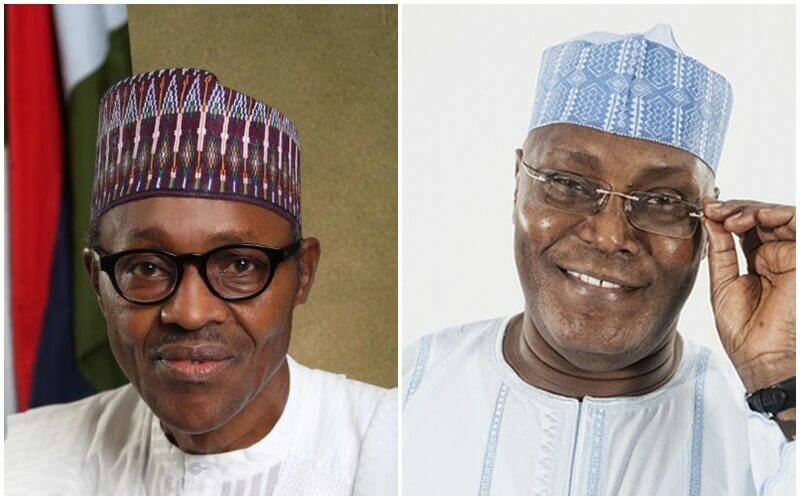 Despite these fine creams of persons vying for the number one seat of the country, all eyes are obviously on just two of the flag bearers, namely Buhari and Atiku. Despite the great chances of either of them becoming the next helmsman of the country, they are not without some stumbling blocks on their way to the presidency. President Buhari is seeking a second term, which according to him is to take the country to the NEXT LEVEL. This has gotten a lot of people asking: “What other level does he wants to take us to other than this already terrible level, with pain and suffering rife in the land?” The social media is also not left out of this question, with funny pictures to make caricature of the present state of the nation to the next level the president wants to take the country. One major hurdle that stares the president in the face and likely to stand against his re-election bid is the pain and suffering in the country. No one can deny that since the president came on board in 2015, the economic stability in the nation has taken a turn for the worse, with prices of commodities skyrocketing. Businesses folded up, throwing her workforce to the already populated labour market. Investors also shunned the country’s investment space, alleging that the country’s atmosphere is not conducive and friendly. A former secretary of state for international development, Priti Patel, also corroborated this by saying that the total respect for the rule of law makes investors wary of investing in Nigeria. Another block on the way for the Buhari’s Presidency chances is the President’s outright disregard for the rule of law. Buhari perhaps has forgotten that the country is now operating a democracy and as such, rule of law must be obeyed to the latter. The soldier in him would often time have the better side of him. The case of the leader of the Shiites Movement, Ibrahim El Zakzaky and his wife, Malama Zeenat Ibrahim who a Nigerian court had in 2016 ordered the government to set free, readily comes to mind. Another is the case of former National Security Adviser, Sambo Dasuki, who the ECOWAS and local Court had in 2016 granted bail, but was denied freedom. The refusal of the Buhari’s government to respect those orders really leaves much to be desired from one who wants to seek re-election. The issue of his alleged nepotism and cabals ruling his government is a sore point of his presidency that may cost him re-election.. There is no gain saying that the President has close to the four years of his administration shown that he is not fully in charge of the duties of his office, but a few individuals, The Daura Brothers. The first lady has in several fora disclosed and cried out that her husband’s administration has been hijacked by a cabal. The other issues militating against Buhari’s come-back bid is that of insecurity holding the nation hostage, shielding of alleged corrupt persons under his government, his silence over the Fulani herdsmen pogrom in the country, which has sent a message that because he is a kit and kin of the Fulani tribe, he is in support of their violent activities. Atiku Abubakar, former Vice President, is seeking to become the number one man of the country after winning the last year PDP Presidential primaries. The former VP according to many is the most formidable opponent of Buhari in the presidential election of next month. Alhaji Atiku Abubakar, a money bag and business mogul is seeking to win the hearts of Nigerians in the February 16 Presidential election, with a lot of hurdles as to why he is unfit to rule Africa’s most populous nation. One among the stumbling blocks for Atiku is the issue of corruption. The Adamawa born Politician is rumoured in several quarters as very corrupt (though he has not been tried and convicted of any corrupt practices) and enriched himself with a lot of government funds when he held sway in customs as well as his position as the vice president of the country during the Obasanjo’s administration. The rumours are that he used such ill gotten money to build his business empire. And because he is so rich he might as well sell governments assets to himself. One of such government’s assets that may go into private hands under Atiku presidency is the NNPC. The rumour is gaining grounds and might hinder the former VP from winning the election, if proper image management, good Public Relations strategies and extensive campaigns are not carried out to counter, assure and convince the people that Atiku means well. The Wazirin Adamawa is also viewed as one man who is not consistent with his choice of political parties. He was once in the PDP, then to the APC and back to the PDP, on which platform he is now contesting. The argument is that such inconsistency smacks of desperation, which in turn doesn’t make a good leader out of one. This is one among the major stumbling blocks for him. Another is the issue of him (Atiku) surrounding himself with very corrupt individuals who have not done anything tangible and meaningful for their people. By this he is seen as who can aid corruption. However, the two big weight politicians (Buhari and Atiku) have their strengths likely to make either of them successful upon the decision of the Nigerian people. For Buhari, his winning determinant is his several social investment programmes such as Npower, Trader Moni, School Feeding, etc, while for Atiku, he is seen as one of the major employer of labour in the country through his several businesses, and as a business man, who in turn will create more wealth and better manage the country’s economy.